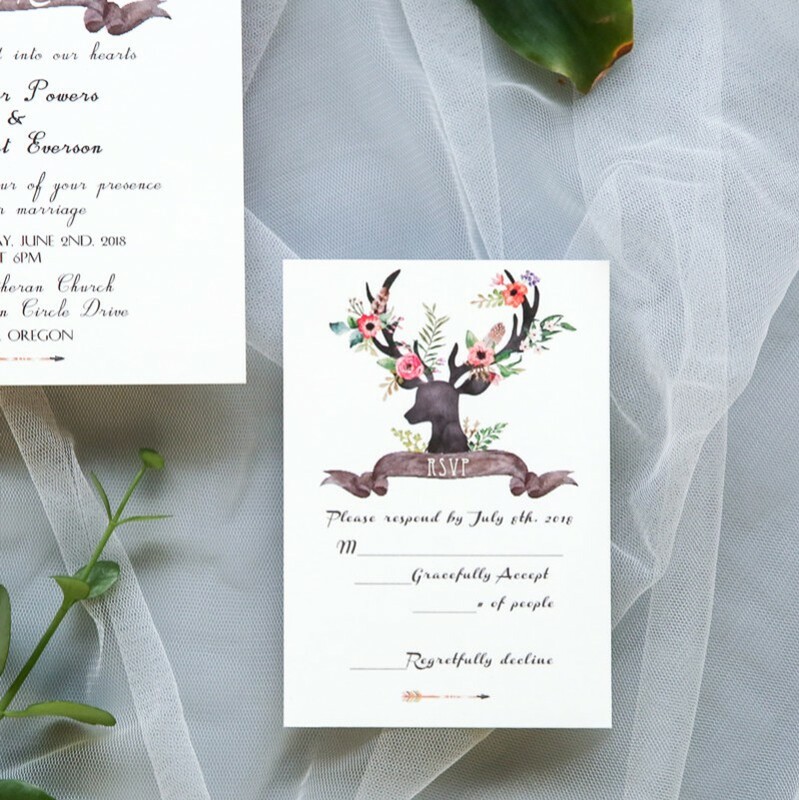 If you are seeking a woodsy invitation, then look no further. 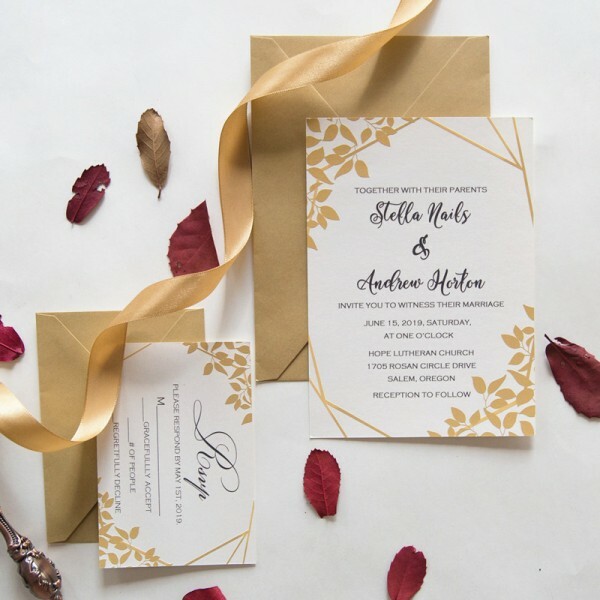 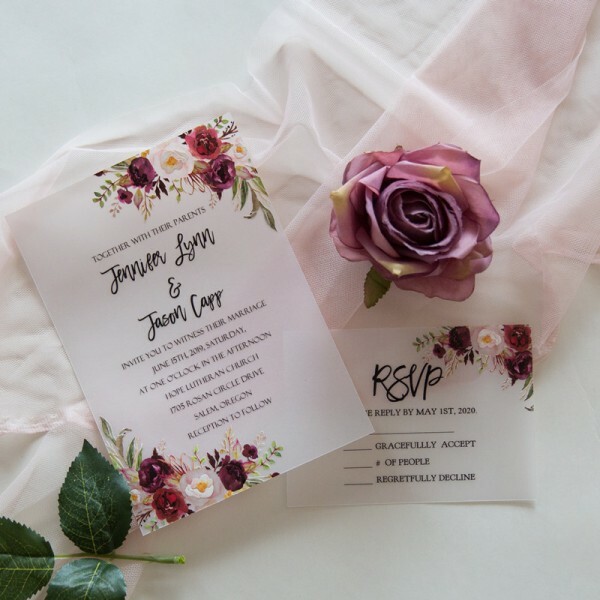 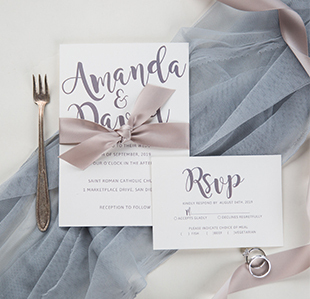 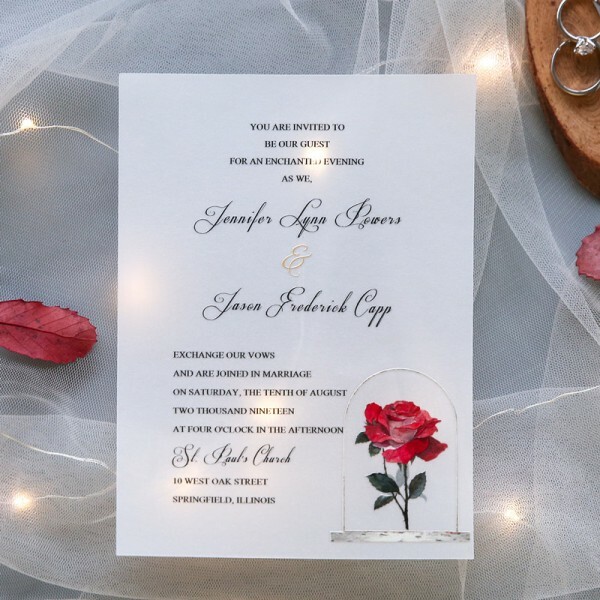 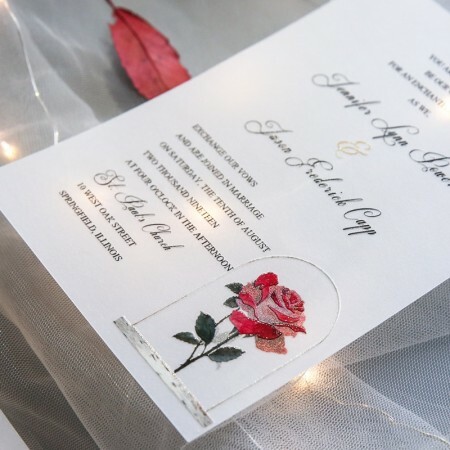 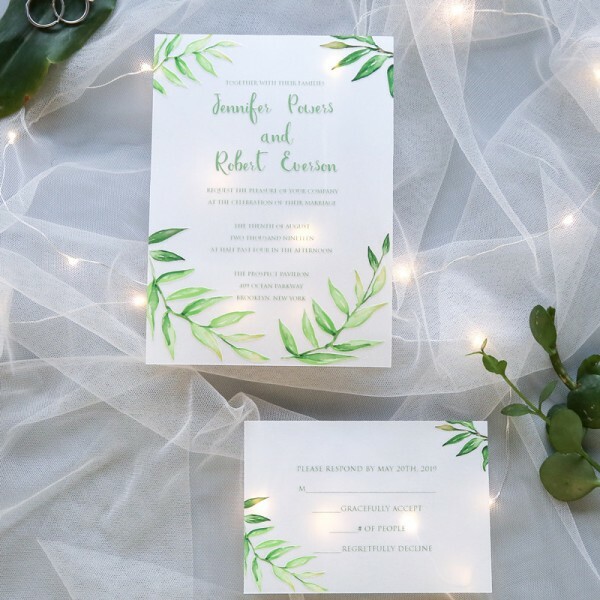 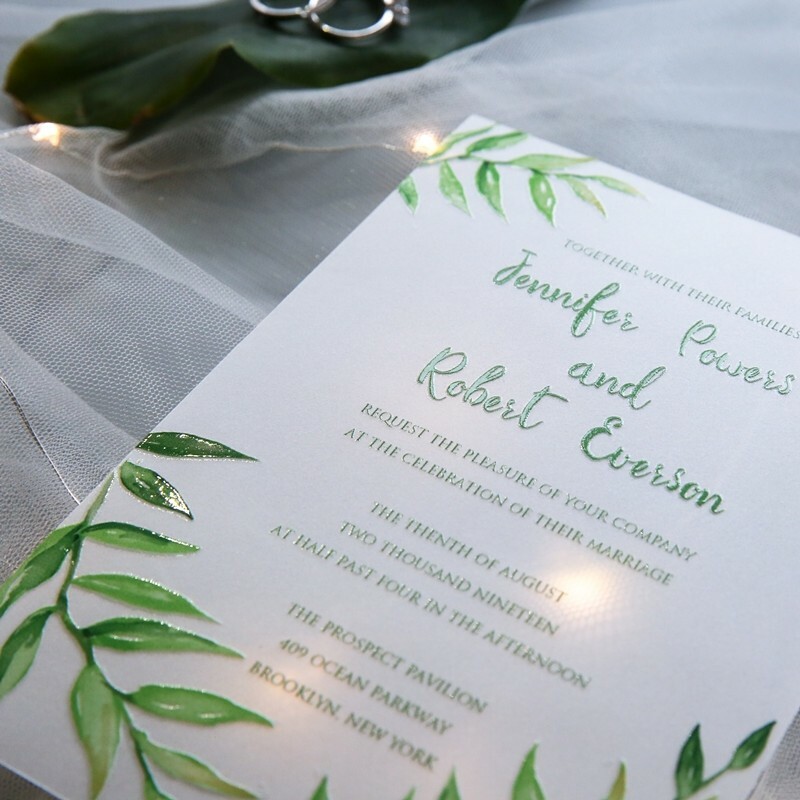 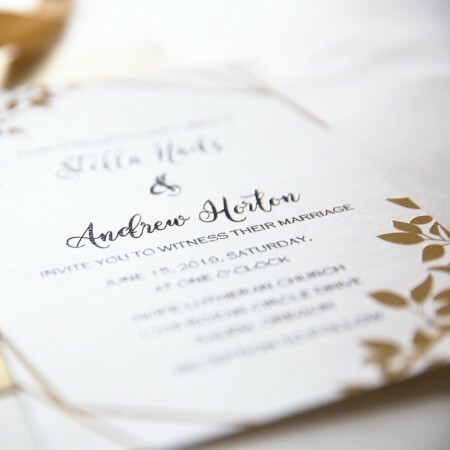 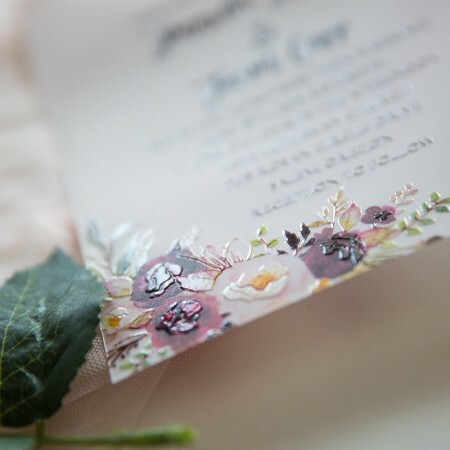 This invitation features Full Color Thermography, which means the entire design and all the wording has a raised texture. 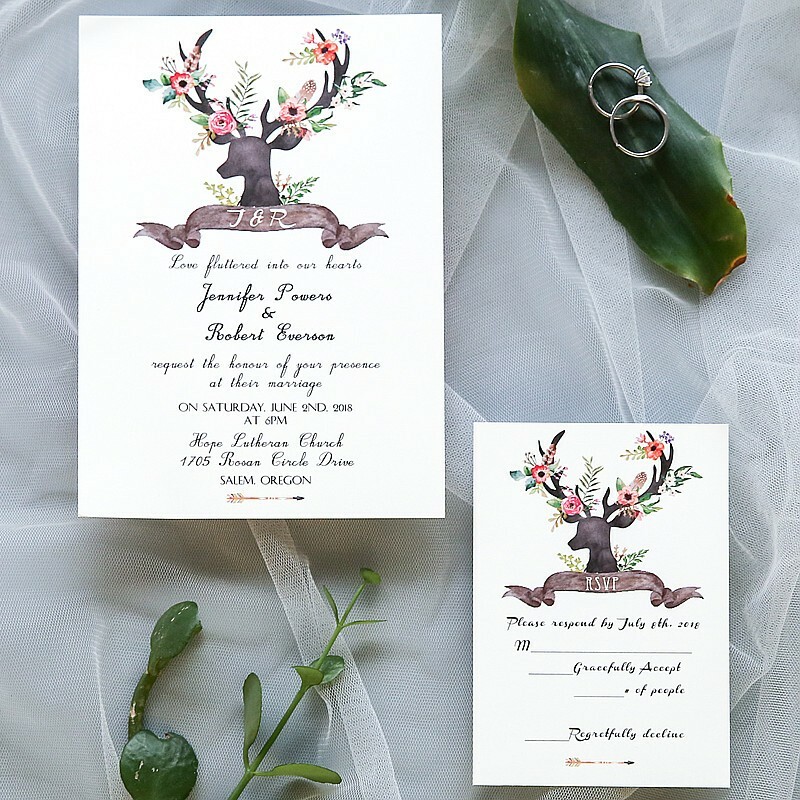 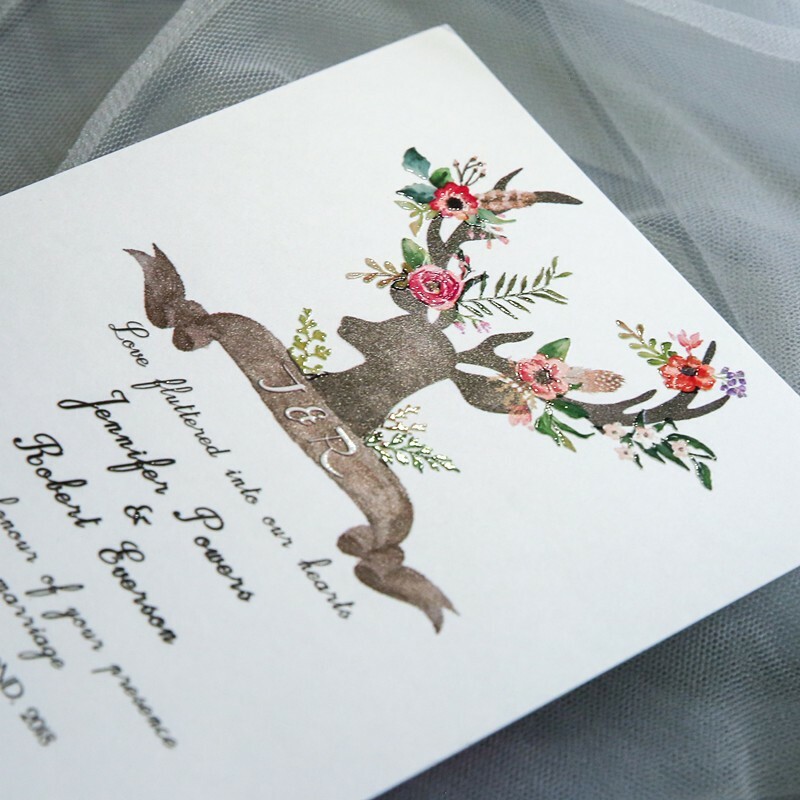 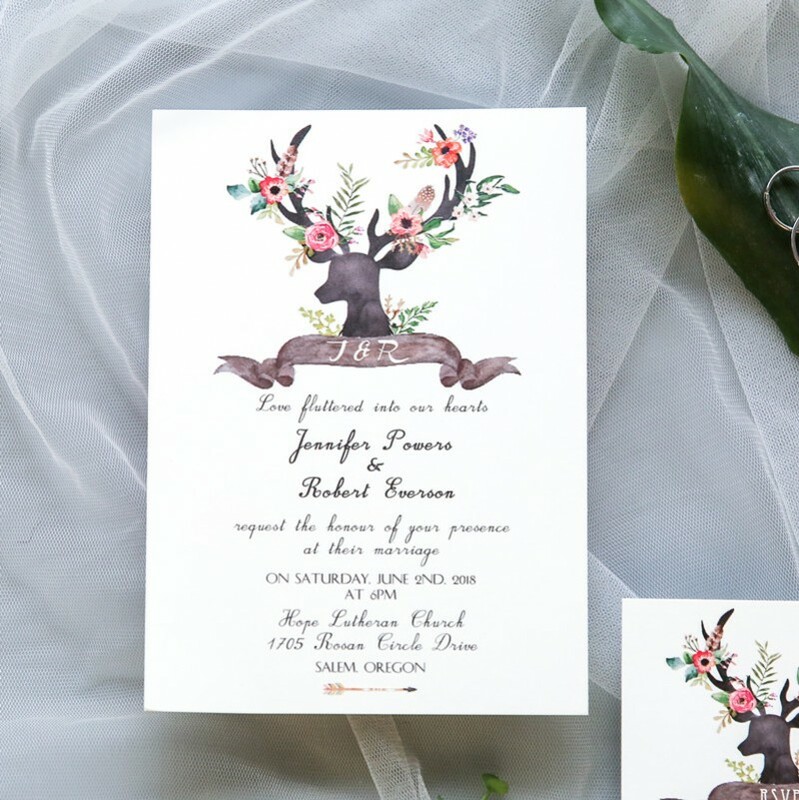 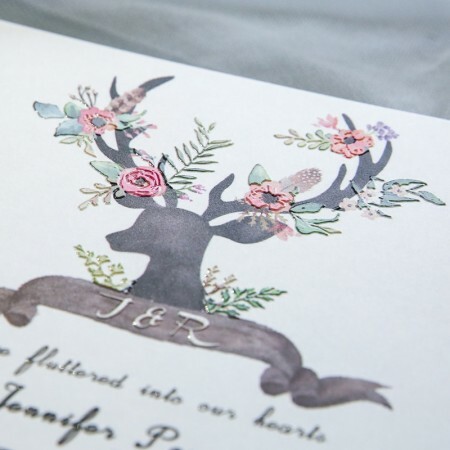 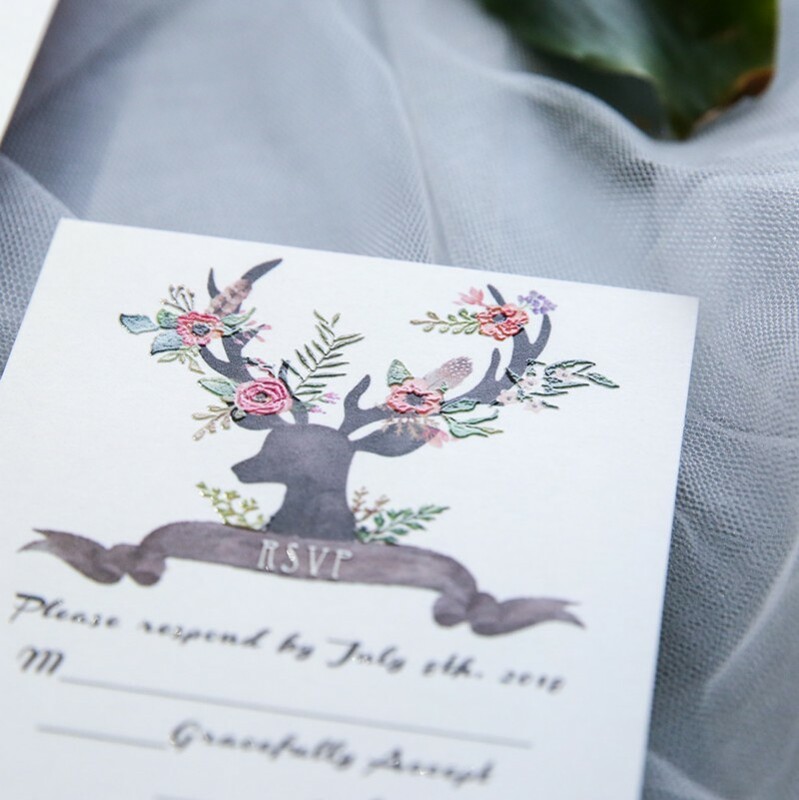 This invitation is such a "deer".